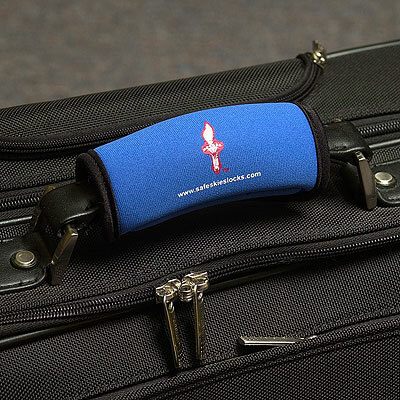 Soft Gel Grip: With Safe Skies™ luggage handle grips, travelers can now carry their luggage with comfort and ease. Brightly colored: Our luggage grips come in both solid and bright colors. 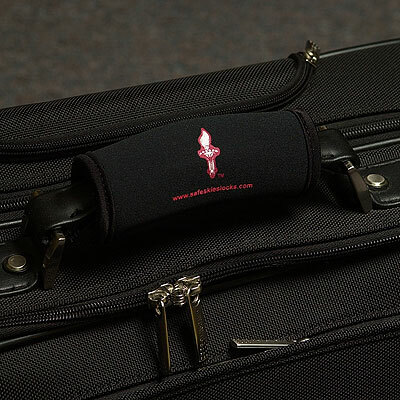 Our grips allow you to identify your luggage in airports. 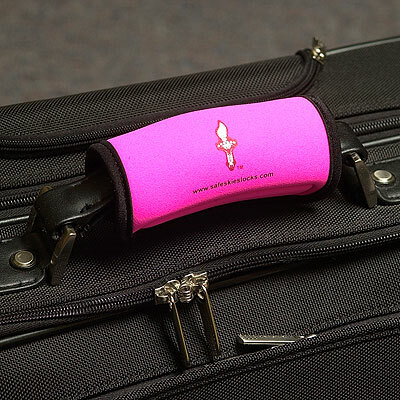 Grips fit snuggly around luggage handle: Easily stretches and contours to fit any luggage handle with hook and loop fasteners. Copyright © 2019 Safe Skies Locks, LLC. All Rights Reserved. protected by US Patents 7,021,537 and 7,036,728 and 8,145,576 and 9,879,447 with other Worldwide Patents Pending.